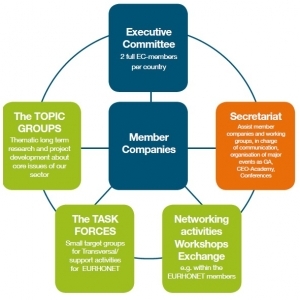 The Secretariat ensures that Topic Groups and Task Forces will continue to align all their activities to the strategic objectives identified by our members and that the progress will be reported to the Executive Committee on a regular basis. One of the ways we will do this is by facilitating networking activities and joint workshops between Topic Groups on crosscutting issues. A yearly assessment of financial resources needed in order to guarantee an effective implementation of Topic Groups and Task Forces’ activities will be done under the coordination of our Treasurer.